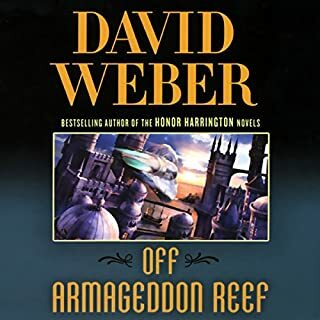 When a hideous accident kills the senior officers of the UNS Hibernia, it leaves a terrified young officer to save 300 colonists and crew aboard a damaged ship on a 17-month gauntlet to reach the colony of Hope Nation. With no chance of rescue or reinforcement, Nicholas Seafort must overcome despair, exhaustion, and guilt. He must conquer malfunctions, mutiny, and an alien horror beyond human understanding. And he must save lives, and take them - in the name of duty. While recovering from the physical and emotional wounds he sustained in Challenger's Hope, Nick Seafort is named as the liaison between the wealthy planters of Hope Nation and the United Nations Navy. The lurking, acid-spewing, fish-shaped aliens are a real threat, and everyone is on edge. 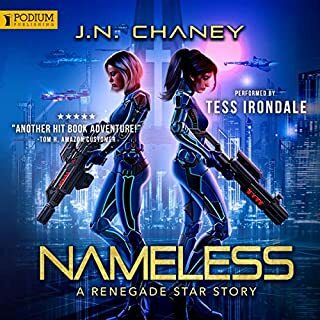 When the fleet returns to Earth, dissent grows among the people of Hope Nation, who feel abandoned by the military and left at the mercy of the alien horde. The Seafort Saga continues as Nick Seafort takes on powerful rebels at home, the cold-blooded aliens, and his own self-doubt. He must make a choice that could save Hope Nation but would also sentence him to death. 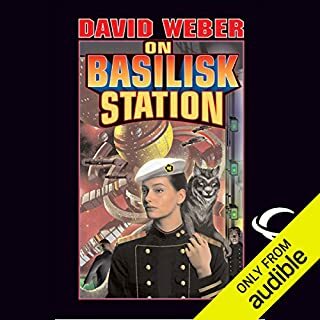 ©1995 David Feintuch (P)2015 Audible, Inc.
Would you consider the audio edition of Prisoner's Hope to be better than the print version? its take on naval life, and religion. bring the characters to life in a better way than others. the self-pity is over done. as no one trys to give a main character a realistic base for him to compare his actions against it make his self-pity greater. the i hate me is so great that it almost make the story bad. the author should have incorporated more into the story to moderate that, a counter point of some kind. if another captain had a man put to death for something that seefort would not have but told him that's what you would have done. something along that line. Would you try another book from David Feintuch and/or Vikas Adam? 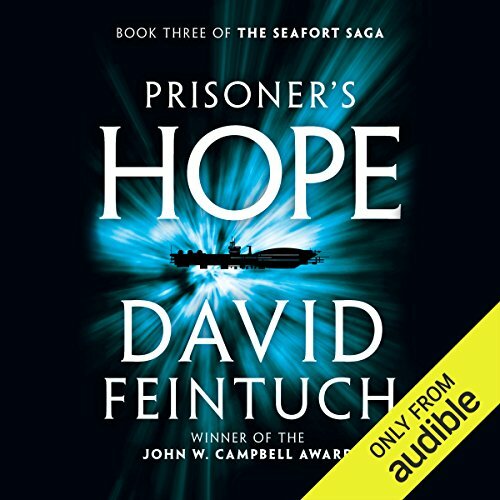 Has Prisoner's Hope turned you off from other books in this genre? It has turned me off for this series. 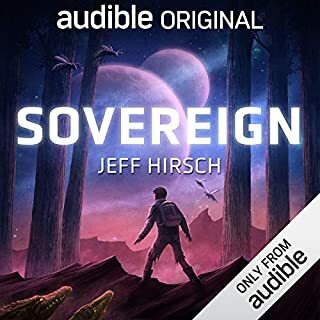 I enjoy the SCIFI story line, its well written. But after three books of the "hero" self loafing and beating himself up, I decided not to complete the series. I thinks its childish that the main character does not mature. I get that he is "following the Navy way" but he is short sighted and all around irritating that he does grow up.. He acts childish and I just can't handle the self effacing and bitterness. Have you listened to any of Vikas Adam’s other performances before? How does this one compare? I read to enjoy the story. its hard when the main character is in a constant state of pity. I have never wanted the protagonists to be killed off or die until this book. Nick Seafort is a sadomasochistic, religious extremists, paranoid “hero” with no companion or empathy. This is only the third book of seven and I am not sure I am interested in continuing on. It is totally impossible to relate to the protagonist in any way! I will listen to this book, or read it, over and over again over the next several years. It is just that good! The continuing adventures of an unbearable protagonist. 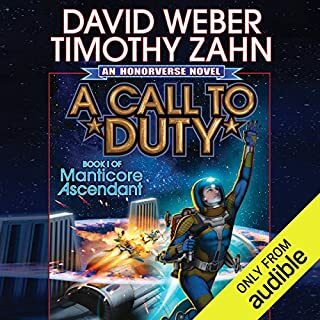 As this is the third book in the series, this review is aimed at other readers who are continuing on from book 2, if you are a new reader, give Midshipman's Hope a shot! This book represents both a high point and low point for the series so far. High due to the larger amount of action, conspiracy and enjoyable side characters (such as Seaforts former bully from his days of academy). The low point focuses on Seafort himself, while his religious convictions certainly add much to the story surrounding him, his depressive state throughout most of this book is neigh-unbearable. He unfairly brutalizes those who rely on him and feels that since he previously broke an oath with God, he was irredeemable and such, does not worry about his abominable behavior. By the end of this book, he has alienated, killed or enraged most of the people who have faith in him. As Captain Seafort has said previously, the UN Navy would be better off if he was dead. 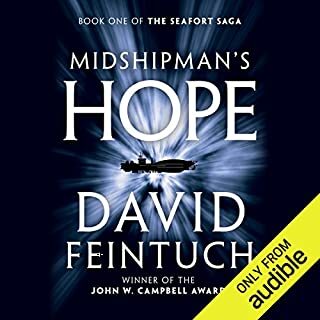 I enjoyed the first book, Midshipman's Hope, as light reading, so I got the second one. Didn't care for it nearly as much, and really started disliking Nicholas Seafort for being such a bully. Decided to get the third, maybe because they included the opening chapter and it piqued my interest, but now I hate Seafort. He does nothing but growl, snap, seethe, frown and rage. He constantly berates his subordinates for blasphemy, then does it himself. The story has holes in it and is just unbelievable, and in the end, I just didn't care about the characters. There was a clever plot twist or two, but not good enough to redeem the whole book, or series. Don't waste your credit or money. I wish that this writer would drop the religion out of his books. This one of the three I have listened too is the worst of it. Great story line, but the religious side is tooooo much. In addition, I often wanted to Cain or put him over the barrel Captain Seafort for his inability to listen and to explain to his crew. I really like this series but this book was a bit too depressing. Nevertheless I am Looking forward to the next one..